“Be mindful of Allah, you will find Him before you. Get to know Allah in prosperity and He will know you in adversity. Know that what has passed you by was not going to befall you; and that what has befallen you was not going to pass you by. "No slave of Allah will truly believe until he believes in predestination, the good and the bad thereof, and until he realizes that what has befallen him was not going to miss him and that which missed him was not going to befall him." When we were sitting together, Allah’s Messenger appeared with a trace of water on his head, and when we told him that he appeared to us to be in a happy frame of mind, he agreed. "(O) God, make that which is permissible sufficient for me, so as to make me independent of that which is forbidden. And bestow upon me enough of Thy grace to make me independent of all besides Thee." "He who remains patient, Allah will bestow patience upon him, and he who is satisfied with what he has, Allah will make him self-sufficient. And there is no gift better and vast (you may be given) than patience." 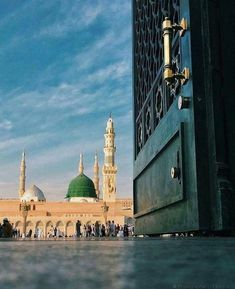 "Whoever wakes up and this world is his main concern, Allah will make him scattered and shattered, and he will feel a sense of panic and loss, and he will get nothing of this world except that which was already decreed for him. "Verily the prayers of those united in brotherhood are answered." "Love for humanity what you love for yourself." “Strive for what benefits you and rely on God, and do not give up. To gladden the heart of human beings, to feed the hungry, to help the afflicted, to lighten the sorrow of the sorrowful, and to remove the sufferings of the injured." Your youth before old-age; your health before illness; your wealth before poverty; your free time before becoming occupied, and your life before death." "The tree of faith bears the fruit of peace."